Emirates is spreading the festive joy with treats across all cabin classes this December. Customers travelling for the holidays will enjoy several Christmas specials both on the ground and on board from food to entertainment. 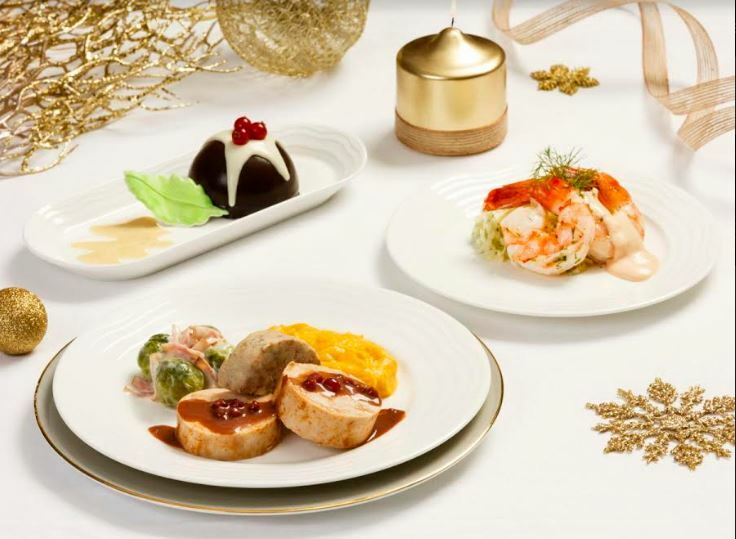 In addition to the regionally inspired cuisine served on board, Emirates is bringing back its Christmas menu with a more extensive offering of holiday favorites. Emirates’ seasonal menus are a key component of its dining offering and the Christmas menu is one of the main highlights. Customers travelling in Economy Class can enjoy rolled turkey buffé served with cranberry jus lié, mashed potatoes, Vienna chicken sausages and seasonal vegetables. For desserts, customers will be served festive sweets such as a lemon cranberry cake with cream cheese frosting or a cocoa cake with white chocolate chips and raspberry coulis. Those travelling in First and Business Class will start with king prawns marinated with lemon and herb and served with cocktail sauce and a fennel salad, and enjoy a main course of rolled turkey buffé served with chestnut and apricot stuffing, cranberry jus lié, pumpkin mash and creamy brussels sprouts with turkey bacon. A variety of desserts is available on the different routes including Ginger bread roulade, Chocolate Mint dome and Yule log. As a special treat, First Class customers, can look out for Santa-inspired macaroons and hot chocolate served with marshmallows and gingerbread. Young fliers in First Class will be surprised with snowman-inspired marshmallow biscuits. Besides Dom Pérignon , Veuve Cliquot and Moët & Chandon champagnes available on board to celebrate the holidays, those travelling to Europe or Africa can pair their meals with the premium vintage Château Ducru-Beaucaillou 1985 – a rare treat available in December in First class. 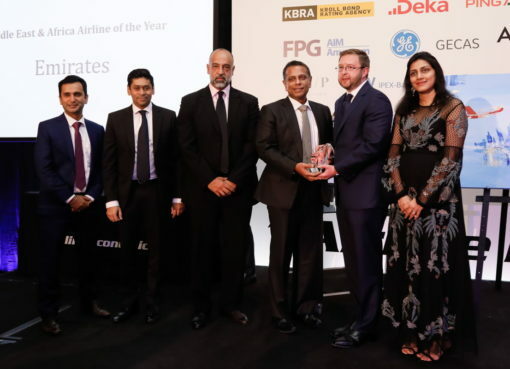 Premium customers can also get into the holiday spirit before the flight departs at the seven Emirates lounges found in Dubai International Airport and over 30 Emirates lounges worldwide. From mid-December, traditional sweets such as Basler Leckerli gingerbread cookies, Christmas cake and Stollen cake are being served as well as roasted turkey in the First Class lounges. 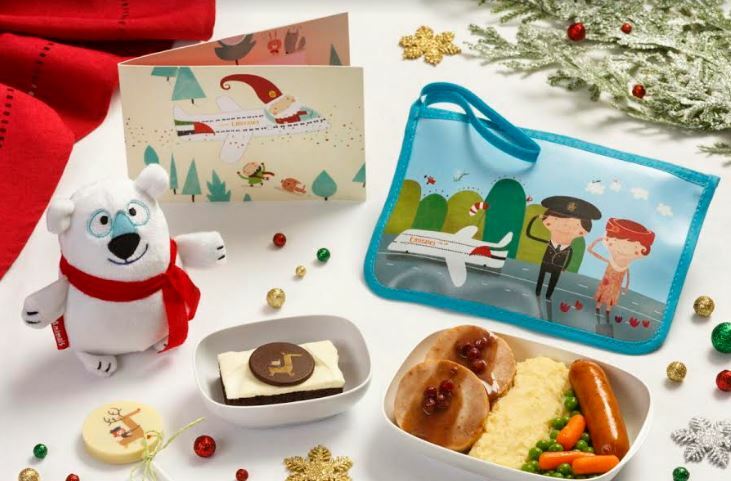 Emirates is also making sure customers’ Christmas stockings are filled with special goodies. Across all classes, newly designed amenity kits are being introduced for December. A new range of Bulgari amenity kits are being rolled out in First and Business Class. There are 16 brand new designs for men and women which can be re-used to keep electronics or make-up. The laser-cut pattern is inspired by Bulgari’s design archives with a touch of Middle Eastern influence inspired by Dubai, Emirates’ hub. The exclusive designer kit bags include new signature Bulgari fragrances and lotions, along with other pampering essentials. The latest kits feature Bulgari’s White Tea fragrance and are available on long-haul night flights and on flights over 10 hours. The Economy Class amenity kit bags are also getting a refresh in time for the holiday season. The six new designs are inspired by EXPO 2020 which will be hosted by Dubai. Emirates is the Official Airline Partner of Expo 2020 Dubai. The collectable bags feature the key subthemes of EXPO 2020 – Mobility, Sustainability and Opportunity. When arranged together, the kit bags form an image that represent the collaborative spirit of Expo 2020 and the key theme of connecting minds and creating the future. Young flyers are given special attention when travelling on Emirates. Kids will enjoy a specially created festive menu with roast turkey, sweet potato mash, carrots and peas, as well as a moist chocolate brownie with cream cheese frosting and a white chocolate lollipop. As part of the Emirates Fly With Me Animals range, a special limited edition character will greet young travelers. 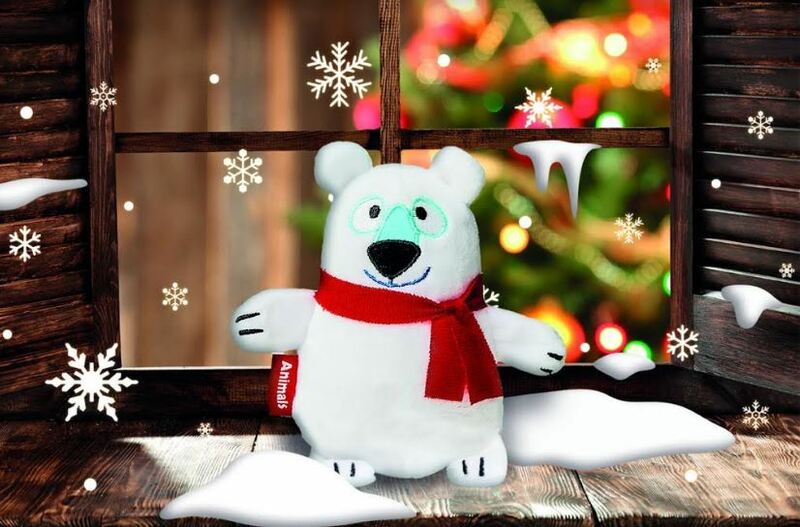 Noel the polar bear, decked out in a festive red scarf, will be introduced on board to coincide with the Christmas season and will only be available in December. Noel will be available as a Travel Buddy which comes with a plastic toggle allowing the toy to be hung in the car, on a pram or in the cot and the Carry Buddy, a dual purpose toy and blanket. To get travelers into the spirit of the holidays, Emirates’ award-winning inflight entertainment system, ice, will feature Christmas classics for the month of December. These include movies such as It’s a Wonderful Life, White Christmas, Miracle on 34th Street, Home Alone and Scrooged, as well as TV specials including The Office and Family Guy Christmas shows. Customers can enjoy over 2,500 channels of entertainment including Christmas number 1s music playlist for the first time this year and dedicated kids’ TV channels. Special programmes for kids include The Gruffalo, Room on the Broom and The Snowman. Emirates offers customers across all classes 20MB of free Wi-Fi data to keep connected with friends and family, and Emirates Skywards members enjoy special benefits depending on membership tier and class of travel. For those looking to brush up on a new language in the New Year, the airline has added 10 new uTalk language channels including Japanese, Swedish, Brazilian, Portuguese, and Turkish. The Emirates Official Store has a range of new Christmas inspired products for those still looking for gifts. These include a limited edition red First Class blanket, and Christmas sweaters and festive pyjamas for the whole family. Other gifts include Santa teddies, tree decorations and greeting cards. Last minute shoppers can also get gifts on board with brand new products and special offers in the Emirates duty free collection. Shoppers will find over 100 new items in the collection as well as Emirates official merchandise. Special deals include discounts when purchasing 2 or more fragrances.